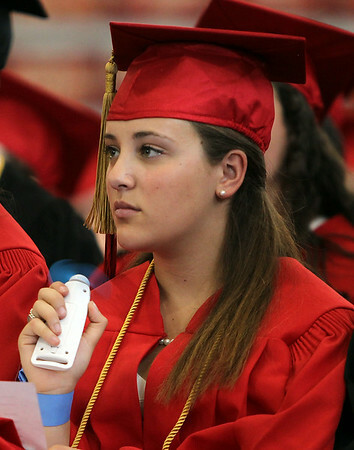 Marblehead High School graduate Sara Krypel uses a small electric fan to cool herself off during graduation on Sunday afternoon. DAVID LE/Staff photo. 6/8/14.